The O2 music and entertainment venue generates £405m a year for London's economy, according to an independent economic impact study. 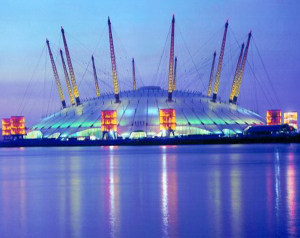 In November 2010, AEG Europe commissioned David Hornby’s business consultancy, Why Not to assess the social and economic impact of The O2 since opening in June 2007. The study looks at The O2’s position as a visitor attraction, employer and catalyst for regeneration. Other findings within the report state that the venue attracts up to 7.2 million visitors a year and that it has, to date, generated a total economic impact of £1.4bn, whilst providing a range of additional social, environmental and commercial benefits. The O2 supports an additional 2,900 jobs in the London economy and also contributes £126m a year to the local Greenwich economy. Alex Hill, senior executive director of AEG Europe said: "The O2’s first four years of operation have seen exciting changes for Greenwich and London, but there is more to come. Planning permission has been granted for a four-star, 450-room luxury hotel, which will include London’s largest clear span banqueting and meeting space. With AEG’s plans to further develop the site at The O2 and to continue to attract new and innovative content, we will continue to drive employment and contribute millions of pounds to the London economy."